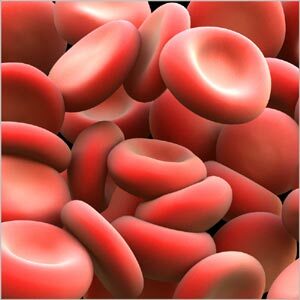 Red blood cell (RBC) indices are calculations derived from the complete blood count that helps in the process of diagnosis and classification of Anemia. A RBC indices blood test requires 3 to 5 ml of blood collected from a vein puncture. RDW (Red cell Distribution Width) blood test that calculates any variation in size of RBC. Normally Red Blood Cells are of a standard size. Since RBCs tend to get smaller and rounder as they age, it is not possible for all cells to be exactly the same size. RDW test determines the changes in the volume of the cells in the red cell population. The variations pertaining to the size of the red blood cells is called Anisocytosis and the shape is called Poikilocytosis. The incidence of these conditions and the detection of abnormal or varied red blood size are determined by diagnostic blood smear analysis and also through automated analyzers. Normochromic: Indicates a normal concentration of hemoglobin. The RDW increases in anemia caused by deficiencies of Vitamin B12, iron or folic acid. Abnormal hemoglobin, as in sickle cell anemia, can result in changes in the shape of red blood cells. In addition it may also cause them to hemolyze. The abnormal shape and the cell fragments as a result of hemolysis would tend to increase the RDW. Severe blood loss may also induce immature cells into the blood that can increase the RDW. Possible causes of abnormal MCV: MCV (Mean Corpuscular Volume) is an index of the size of the RBC. When the MCV is below normal, the RBC will be smaller than the normal size - which is known as microcytic. On the other hand, if the MCV is higher than normal, the RBC will also be larger than normal which is called as macrocytic while the normal RBC size is termed as normocytic. A low MCH (Mean Corpuscular Hemoglobin) is an indication that RBCs have too little hemoglobin. When viewed under the microscope, the RBCs appear pale and hence called as hypochromic. The MCHC (Mean Corpuscular Hemoglobin Concentration) is the ratio of RBC's hemoglobin mass to the cell volume. MCHC is elevated in hereditary Spherocytosis - as a result of the structural protein defect in the RBC. Calculating Red Blood Cell Distribution: The determination of red cell distribution width is mathematically expressed as Red cell distribution width = (Standard deviation ÷ Mean cell volume) X 100. Conditions such as pernicious anemia cause changes in RBC size. Often there is variation in shape too. This can be detected by changes in RDW. Normal RDW range is 11 - 15%. Higher RDW is indicative of disorders such as anemia. RDW blood test is often conducted along with MCV blood test to check the exact cause.